We have restructured our workshops for 2019. Every three months (or so) we’ll introduce a new theme with several charities and projects you can choose from. You can make something for each charity, or choose just one. Projects will be due by the first meeting of the next quarter to be eligible for our "Thank You Prize". You will receive a prize ticket for each project you donate in a given quarter which meets the parameters of the quarter, and the winner will be chosen at the first workshop of the next quarter. 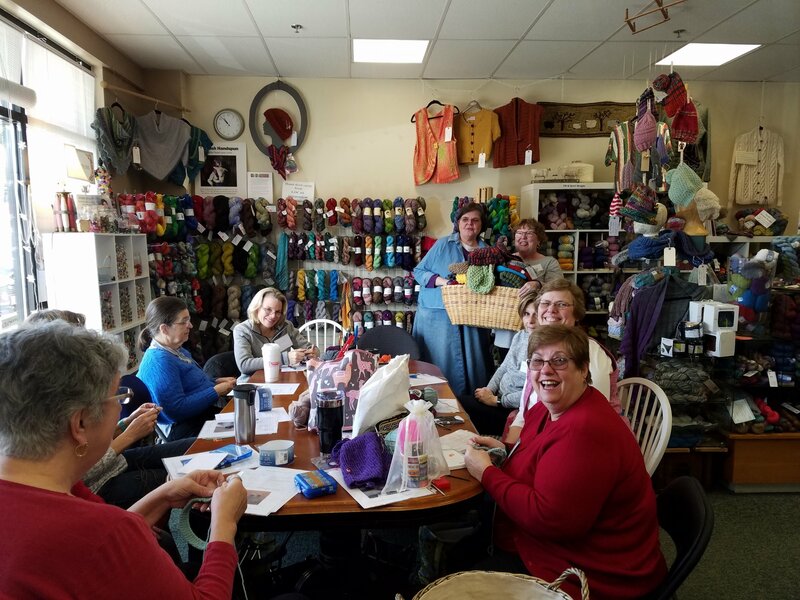 For Q2-May, Mary and Beth are teaming up to help you knit the 1898 hat and crochet its equivalent, the 2018 hat, for merchant seamen, to be distributed by Seafarer’s Friend in Chelsea, MA. Seafarer’s Friend is a non-profit organization, established in Boston in 1816, to minister to the needs of seafarers while ashore in New England. Since 1895 they have been distributing "Ditty Bags" to seafarers, containing such comfort items as hats, gloves, scarves, small games and playing cards, toiletries, etc. They welcome donations of Ditty Bags (sewing pattern available on their website), toiletries and other comfort items for the bags, and hats, scarves and gloves. * #7 crochet hook (which is between a G and an H) for 2018 hat, or H hook for balaclava. Hats must be free of adornments like pom-poms or tassels that can get caught in shipboard equipment. Our workshop will be focused on hats, but you are welcome to add gloves/mittens or scarves to your donation, if you wish. * Summer Q3, July and August, theme “Our Neighbors”. Benefitting the homeless, shelters, hospice, and other neighbors in need. * Fall Q4, September thru November, theme “Cancer Warriors”. Knitted Knockers, chemo caps, etc.